In a dramatic setting, just a 30 minute drive from Marrakech, Kasbah Angour nestles in the foothills of the High Atlas Mountains and boasts magnificent views over the mountains, river valley and nearby villages. 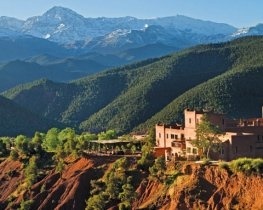 Using traditional and locally crafted materials this eco-friendly hotel is built in local red sandstone and the charming guest rooms and suites are furnished in traditional Moroccan style and boast wonderful panoramic views. 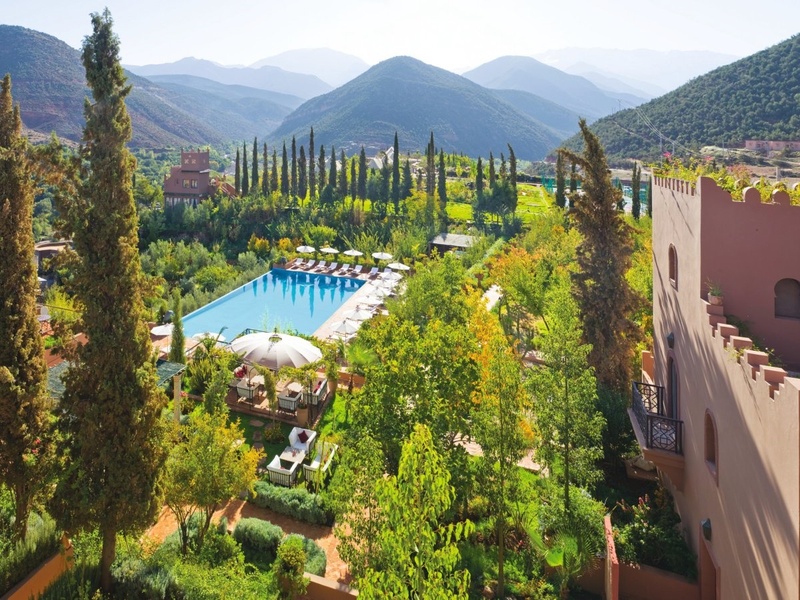 Guests will delight in sunbathing around the outdoor swimming pool (not heated), admiring the beautiful lush gardens and walking in the foothills of the Atlas Mountains. The best in local and seasonal produce, some of it from the Kasbah’s own gardens, is used to create the tasty Moroccan and Mediterranean dishes served in the restaurant, and restful evenings can be spent in the comfortable lounge. For those wanting to discover more of the area a team of experienced mountain guides are available for excursions into the surrounding region. Kasbah Angour will confirm interconnecting rooms on a request basis. For selected stays between 01 February 2020 & 29 February 2020 receive 1 free night in 4. Honeymooners receive a complimentary upgrade to the next room category (subject to availability at time of booking). for bookings made between 20 April 2019 and 31 October 2019 and arrivals between 20 April 2019 and 31 October 2019. Prices apply to Assif Standard. Offer excludes Angour Suites.